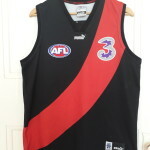 AFL Football Jumpers, Jerseys, Guernseys do change. 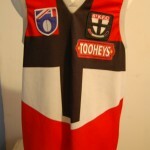 Whilst the style and colours remain a constant part of the design, team sponsors, and fabric of manufacture vary. 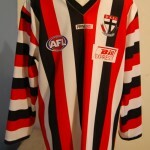 Initially the original football jumpers, jerseys, guernseys were knitted from wool. 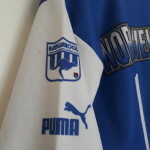 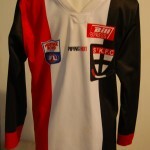 The team colours and club insignia was constant. 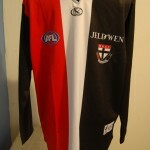 Players wore a long sleeved version of the football jumper, jersey, guernsey with a collar and button up front. 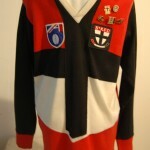 Manufacturing processes changed and the guernsey was still knitted but from acrylic wool. 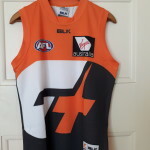 Long sleeves, v necks with collars, favourite players numbers sewn on the back and sewn on AFL logo patches proliferated. 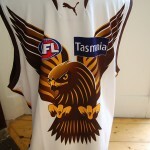 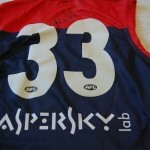 Fitzroy Football Club were the first football club that began displaying sponsors logos on guernseys for a commercial fee. 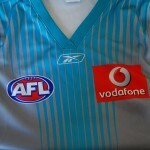 Ironic that the club was deemed to be economically unviable by the AFL, and ceased to exist . 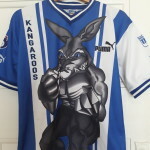 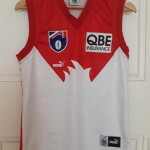 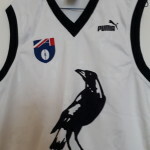 An amalgamation of sorts was attempted with the establishment of a new team the Brisbane Bears in Queensland, who bore the FFC initials on the back of their guernsey . 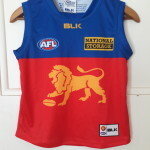 A later incarnation saw the Brisbane Lions adopt the Fitzroy team mascot of a lion on their guernsey. 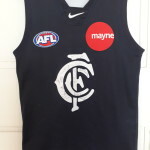 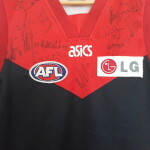 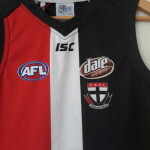 Today, collectors, football fans, club historians, lovers of AFL, and curators collect the older style vintage, and retro football jumpers, guernseys, and jerseys. 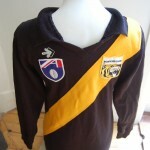 Irreplaceable and markers of a pivotal point in an AFL Club's history they are highly coveted items. 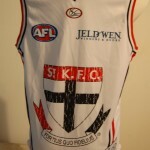 Who remembers these St Kilda Saints Football Jumpers ?